While almost every stereotype out there is true for some people, that person doesn’t have to be you. The key to overcoming stereotypes is demonstrating that they don’t apply. With that in mind, here are 15 of the most common assumptions about older job seekers, and how to overcome them. It’s often thought that older people are stubborn and stuck in their ways of doing things. Show in your resume and work portfolio that you have the relevant training and skills to do the desired job according to the latest methodologies, emphasizing how you've evolved and improved throughout your career. Similar to the above, the emphasis here is on the belief that age somehow prevents people from learning. With the right mindset, you can add new skills to your repertoire at any age, show them off online, and your can-do attitude will surely impress employers as well. It’s often thought that older people don’t possess the necessary mental fluidity to find flexible solutions to novel problems that show up in their daily work. This stereotype has more to do with simple closed-mindedness than chronological age. Today's culture is obsessed with novelty and innovation but in reality, the problems that most often occur in our day-to-day work tend to be quite standard and fairly predictable. Your years of experience can give you a perspective that younger, less-experienced minds simply don’t have yet. The older you get, the more you have seen and the more easily you’ll see connections between seemingly disparate things. Debunk the inflexibility myth by telling relevant success stories in your job interviews. It is true that older people are more likely to question the necessity for change, as more experience will include more examples of changes gone wrong. But this doesn’t mean that they’re unable to go along with changes. Anyone can adapt once they understand the reasons for it. Be open about the fact that you don’t fear change and that you see it as a natural part of work life. A resume with many previous roles demonstrates this, but even if you've only had 1-2 long-tenured career jobs so far, prepare job interview stories about dealing well with big changes on the job. New technologies have drastically changed skill requirements in the job market, and older people are often thought of not being very tech-savvy. While it may have been true in the early days of the Internet, this idea is definitely outdated now. Older people can handle the latest technology very well. In fact, maybe even better than younger people, since they tend to be much less distracted by social media than people who grew up with it. Unlike soft skills, tech competence is very straightforward and easy to demonstrate: simply mention all your relevant skills in your resume, and showcase completed projects in your work portfolio. Learning effectively has more to do with the methods used and the skills of the teacher, as opposed to student age. While it’s often thought that younger people have an advantage when it comes to learning, studies have shown that it isn’t always so. For example, adults learn languages more easily than children because learning is a skillset on its own. Older adults can learn even at a faster rate because experience often gives them the intuition to focus on the 80/20 rule: the 20% of input that gives them 80% of the outcomes. Set yourself apart from the competition by explaining to employers how you value learning and don’t fear having to upgrade your skills from time to time. Throwing in the fact that you have a track record of doing so (if it's true) will also help. This stereotype stems in part from the belief that between themselves and their family, older people have more health problems to manage, which makes them take more sick days. Barring requiring you (and your family) to go for doctor checkups, there's no reason for a recruiter to believe this should automatically apply to you. While productivity can be taught, a good, hard-working attitude is mostly a character trait that’s not determined by age. If you’re a productive person, specify in your resume how your efforts have directly benefited your previous employer(s). Are you terrible at multi-tasking? If so, then this is good news. According to a study conducted in Stanford University, workers who considered themselves successful multi-taskers actually perform worse than people who do one thing at a time, because frequent task switching disrupts your work flow, and makes it harder to organize your thoughts while filtering out noise. Researchers also found that multi-tasking can temporarily lower your IQ similar to smoking marijuana and possibly even damage your brain. Yikes. Your best work is always achieved in a state of focus and doing one thing to completion, and you should explain that for your interviewers. If this were true, then it wouldn’t make sense that older workers tend to perform better than their younger peers in positions that require problem solving, organizational skills, attention to detail, listening and writing. So it can't be true, even though it’s a myth that's easy to accept in a culture that tends to celebrate youth everywhere we look. As an older job seeker, keep in mind that you're bringing experience and years' worth of accumulated wisdom to the workplace that others simply don’t have yet. If you can outperform other (younger?) colleagues, but most importantly, have recent achievements to show on your resume and discuss with recruiters, you're very much still in your prime. A hyper-connected workplace dictates a faster pace and puts pressure on us to get more done with less time. There’s not much evidence, however, that older employees tend to be less organized or more prone to getting distracted or overwhelmed. Again, job interview stories let you demonstrate that this isn't one of your weaknesses and might even be a strength. Some people think that older people have more of a sense of pride in a job well done than younger employees, but that's garbage. 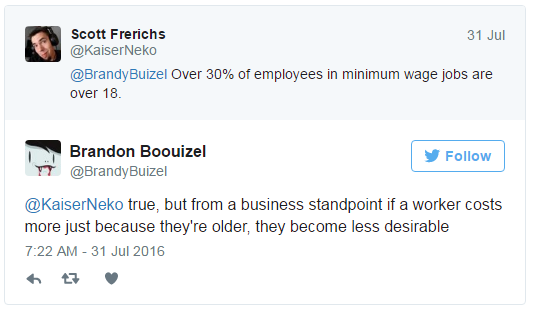 Age has nothing to do with it, and there are both young and old employees who do their job well and those who don't. This is such a vague stereotype that the only way someone could be convinced otherwise is with hard evidence, and even then, it might not be enough to influence a hiring decision if a mind has been made up in advance. While job interview stories of you working as well as, and well with, younger colleagues can help your case, you need to dig deeper. If you can find out in advance who your interviewer(s) will be, research their background for roles where they dealt with older colleagues successfully and use that to prove your point. As workers grow older, their increased experience gives them a capacity for better judgment. With better judgment they are often able to avoid costly mistakes that save the company a great deal of money, which adds to their value as a team member. Most people are happy to share their wisdom with others because the mentor-mentee and master-apprentice relationships have existed for thousands of years and these teacher-student dynamics are deeply ingrained in our psychology. What most employers are looking for, is someone who can harmoniously fit into their team. Some basic people skills will do the trick here, and this is something you can convey during your email/phone/etc. conversations with a potential employer. Specific examples are always best. It’s often thought that older workers have a hard time respecting bosses that are younger than them. You might find it tough to take orders from a person who has less industry experience than you, or is in the same age group as your child. This is very common. To avoid a conflict-ridden relationship with a younger boss, keep in mind that age is just a number, and it applies to both of you. Respect that someone saw that this person had value to offer to the company or she wouldn’t be in the leadership role. If you can demonstrate during the interview process that you are easy to get along with, have been in the past, and that you don’t buy into stereotypes, generational differences shouldn’t be an obstacle. According to this myth, older workers cost more because they have higher salaries and retraining them (when needs change) isn't money well-spent because they won’t stay as long, limiting potential return on company investment. While older workers generally do earn more, that has less to do with their age and more to do with their work responsibilities, so giving someone younger the same responsibilities should require they be paid similarly. In other words, salary costs are roughly the same. As for retraining older workers compared to hiring younger workers with the required skills, it really depends on how much of a career pivot is needed for the older workers and how much past experience is valued. Recruiting is expensive and prone to error, while retraining an existing employee is usually less risky if done right. While everyone wants the most bang for their buck, the best you can do is target companies so well that your hiring will seem like a no-brainer for them because you have the skills they need including the ones they've begun retraining employees on, showing you're clearly worth the budgeted salary for the position. Plus, being such a clearly good match will shorten their recruitment process, saving them even more money. If you're 50+, does that mean you're merely looking to kill time until the desired retirement finally arrives? Or maybe it’s time to retire the idea of traditional retirement instead? People are living longer and healthier lives. Many have already chosen to work well beyond 60, 65 and even 70, whether for financial reasons or just to have something to do. Companies also lose out if too many talented and experienced employees must automatically leave the workforce at 65 or whatever the retirement age is where you live. To diffuse any reservations they might have about you as an older job seeker, talk openly about your long term plans, and how “where will you be in 5 years?” is right there, succeeding at the company. What kinds of stereotypes have you had to deal with on your current job search? Tell us in the comments. 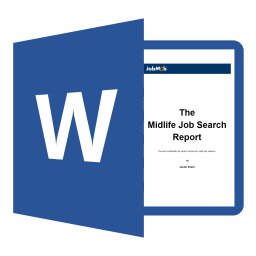 Subscribe to JobMob via email and follow me on Twitter for more job search insights for the ageless.